This post is sponsored by Digiarty Software. If you’re currently using an iOS device, chances are, you’re making use of Apple’s iTunes software to manage your media library or download software updates. Sure, it’s a great software, but not everyone likes it, mostly because it’s sub-par when it comes to ease of use. This is due to the fact that Apple has packed a lot of stuff into the software, including the iTunes store, App store, software updates, device backups, etc. in addition to all the media management capabilities, which might make things complicated for someone who’s new to the Apple ecosystem. Well, if you don’t really like Apple’s way of handling your media, you might be interested in a better alternative that makes the process a whole lot easier. 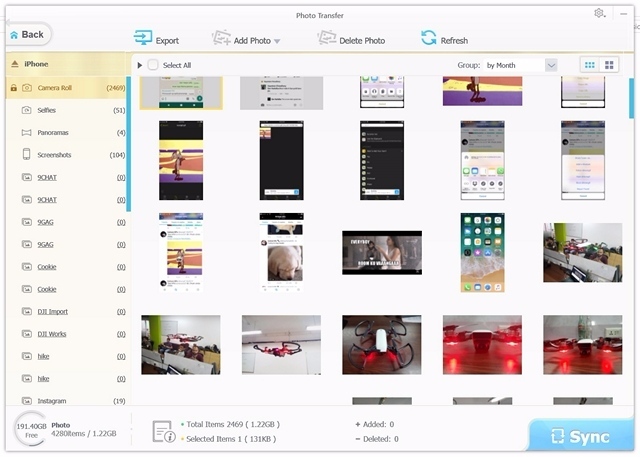 When it comes to media management software for iOS devices, we’ve seen plenty in the past, but WinX MediaTrans manages ton stand out from the rest of them, thanks to its compelling set of features. Now, before you’re tempted to check out the software all by yourself, let’s take a look at every single feature that WinX MediaTrans brings to the table. Bonus: Proceed to the Full License giveaway page to download WinX MediaTrans for free. You can also discover the funniest memes and stories about “Stuck iTunes”, or submit yours to win cash on that page! As mentioned earlier, WinX MediaTrans is definitely unlike many other media management software that we’ve seen in the past for iOS devices. From being able to manage your music to the capability of using your iOS device as a flash drive, MediaTrans has a lot to offer. So, without further ado, let’s proceed to the interesting part, shall we? Regardless of whether it’s photos, books. 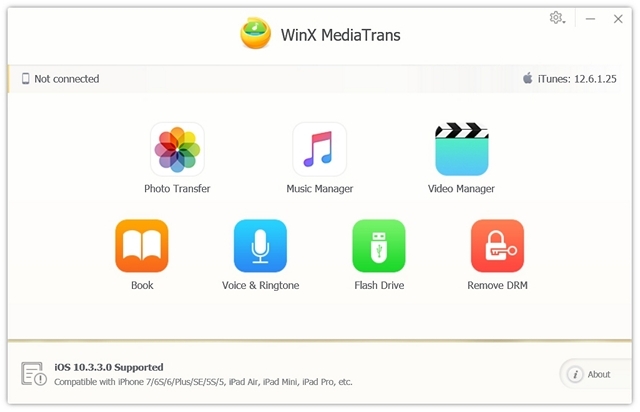 videos or music files, users can take full advantage of WinX MediaTrans to directly transfer all their media to iOS devices and vice-versa within moments. The procedure is as easy as a simple drag and drop from your computer’s directory. In terms of performance while transferring your media, MediaTrans works flawlessly and users have more options in comparison to Apple’s iTunes, so we’ve got complaints in this department. Most of us know that iOS devices don’t support a variety of media file formats. When you’ve added an unsupported media file to your iTunes local library and try to sync it with your device, the file simply does not show up on the device. Although iTunes does manage to convert media, the supported file formats for the conversion to occur is pretty much limited. Well, with WinX MediaTrans, this is not an issue at all, as the software features a built-in converter that will immediately provide you with an option to convert the specified unsupported file, before you can transfer it to your phone. WinX MediaTrans software has support for Intel QSV and NVIDIA NVENC hardware acceleration. 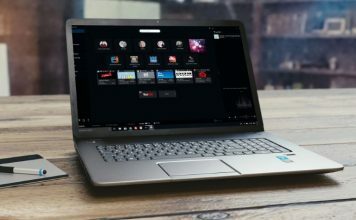 Well, if you have a compatible graphics chip, you’ll notice significant performance improvements, especially when you’re converting videos using this software. The option can be easily enabled or disabled from the software’s Settings menu. However, users who’re solely relying on AMD graphics cards will not be able to take full advantage of the hardware acceleration feature that MediaTrans has to offer. Not everyone likes to stick with the default ringtones that come along with the iPhones. Some people are keen on creating their own custom ringtones, and iTunes doesn’t really provide that feature. Usually, creating custom ringtones from your favorite music is a tedious process, especially on an iOS device. 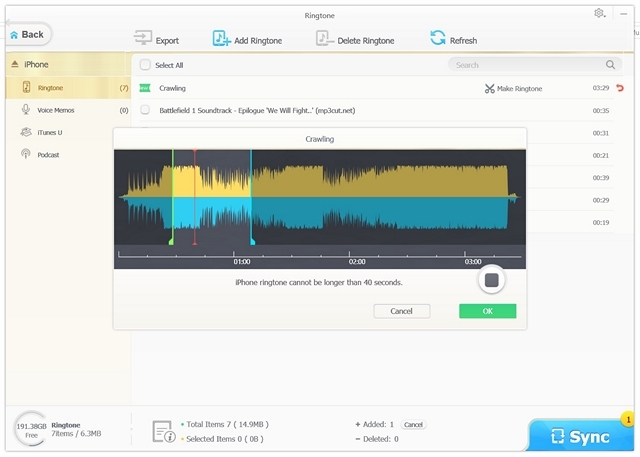 However, that’s not the case with WinX MediaTrans, as the software lets you easily cut out 40-second ringtones from any portion of the music that you currently have on your computer or iOS device within seconds. Let’s admit the fact that at one point, we’ve all wanted to turn our iPhones into a USB flash drive for transferring data. Well, iTunes simply does not allow this, thanks to Apple’s closed ecosystem. However, with the help of WinX MediaTrans, users will be able to turn their iOS devices into flash drives for transferring and storing all sorts of media. However, it’s worth noting that the transferred media can only be accessed and exported via this software. So, if you own a 128 GB or 256 GB iPhone, you might be having plenty of free space on your device that can be used to store these data files. In terms of sheer simplicity, the WinX MediaTrans manages to outshine Apple’s iTunes as the all the functions can be easily accessed from the home screen itself. So, users don’t have to fiddle around with the software to find all the useful features like they do in iTunes. When it comes to media transfer and flash drive capabilities, it’s just the matter of a simple drag and drop in order to avoid any kind of confusion. 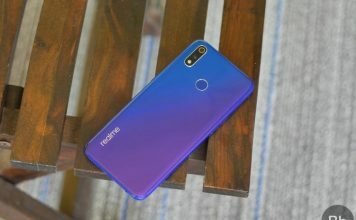 Additionally, creating custom ringtones couldn’t be anymore easier, as the software easily lets you cut out 40-second ringtones from any portion of your favorite music. Likewise, thanks to the built-in video converter, users will be able to convert unsupported file formats within a matter of minutes, without the need of any additional software. The WinX MediaTrans features a minimalistic user-interface that appeals to someone who’s new to managing media on their iOS devices. 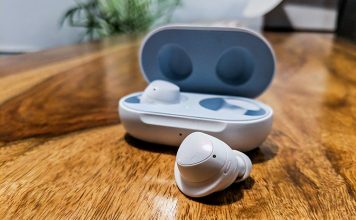 Unlike iTunes, there’s no confusion when it comes to finding all the key features that this software has to offer, as every single one of them can be easily accessed from the home screen, immediately after you open up the software. That being said, credits to the the developer for a simplistic design approach, as the software feels incredibly fast while performing various tasks, especially when compared to iTunes. So far, we couldn’t notice any hiccups or crashes while using the software, which is nothing short of impressive to say the least. All in all, MediaTrans is pretty much a light-weight software that’s not quite as demanding as you’d expect, but does a splendid job when it comes to managing your media files with ease. WinX MediaTrans can be downloaded for Windows operating system from the official website. 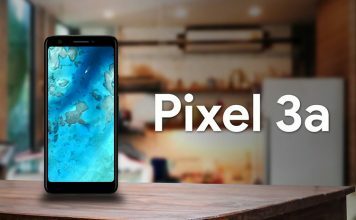 The developer offers a 30-day free trial, so users can take their time and try out the software before actually deciding on purchasing it. 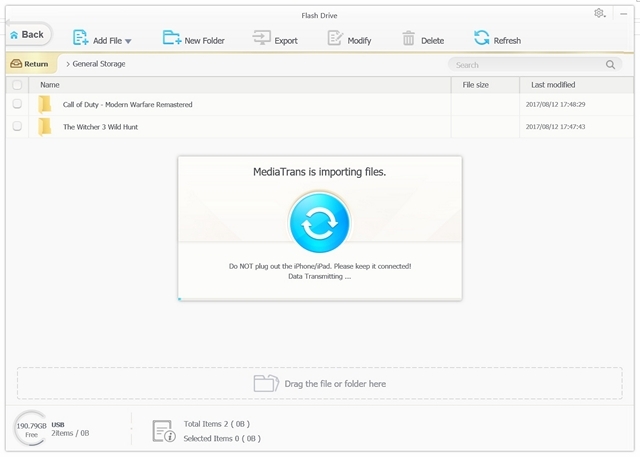 If you’re a Mac user, a similar software from the same developer called MacX MediaTrans is available for purchase as well, so there’s no need to worry about being left behind. As far as pricing is concerned, there’s an anniversary offer that’s currently in effect, that lets you purchase the software at a discounted price. A 1 year license for a single PC costs just $29.95 and a lifetime license for 2 PCs cost just 6 bucks more, at $35.95. Normally, the pricing sits at $39.95 for the yearly license, $59.95 for the lifetime license and $119.95 for the family license, that essentially provides lifetime access to the software for up to 6 computers. After using this nifty software for a fair bit of time, we’re pretty confident regarding the fact that WinX MediaTrans is pretty much a worthy alternative to iTunes when it comes to managing media across all your iOS devices. 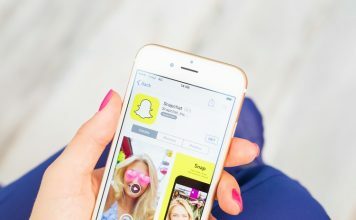 Thanks to a minimalistic design approach and user-interface, even people who barely have enough knowledge on iOS media management will be able to utilize this software without any hassle. The software even has an edge over Apple’s iTunes, especially when it comes to ease of use. So, have you guys tried out MediaTrans? What do you think of this software? Do let us know, by shooting your valuable opinions in the comments section down below.